The Nintendo Labo VR Kit might be arriving this week, but the free VR updates for Super Mario Odyssey and The Legend of Zelda: Breath of the Wild won't be released until 25th April. To tide you over until then, the official Japanese Super Mario Odyssey Twitter account has released a new batch of screenshots highlighting all of the fun on offer in this upcoming VR update. As you'll see above and below, there are pictures of Mario at the Cap, Seaside and Luncheon Kingdoms along with a close-up of the Mayor of New Donk City, Pauline. 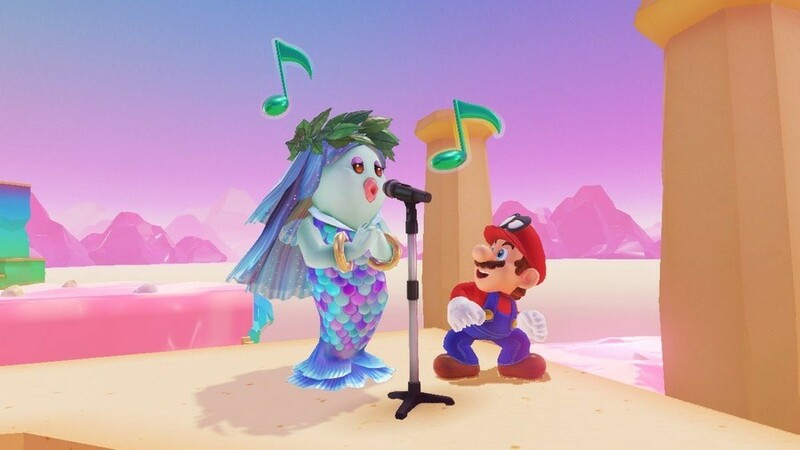 This new update adds three new mini-missions to Super Mario Odyssey, where you collect coins and musical notes. The latest tweets and screenshots also suggest you'll be tasked with gathering up musical instruments and then delivering them to characters in the game. A musical performance will be viewable in VR in New Donk City as well. Are you looking forward to this free VR update for Odyssey? Will you be purchasing Labo VR? Tell us down in the comments. 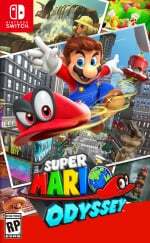 I'm suprised they didnt make any missions for New Donk City. It's the Crown Jewel of the whole game. I just cannot help but feel Nintendo is just trying to capitalize on the VR buzz and is doing so late and with a very poor attempt to do so. I always take pride in my 100% odyssey save file. This makes me mad. I mean, I stand to be proven wrong, it is entirely possible this will turn out to be very impressive and this feature of the Switch will turn into a major selling point. I'd not bet on that, but I wouldn't be so bold, even arrogant to assume it could never happen. Me: Why would I bother getting VR to play the game in third person anyways? 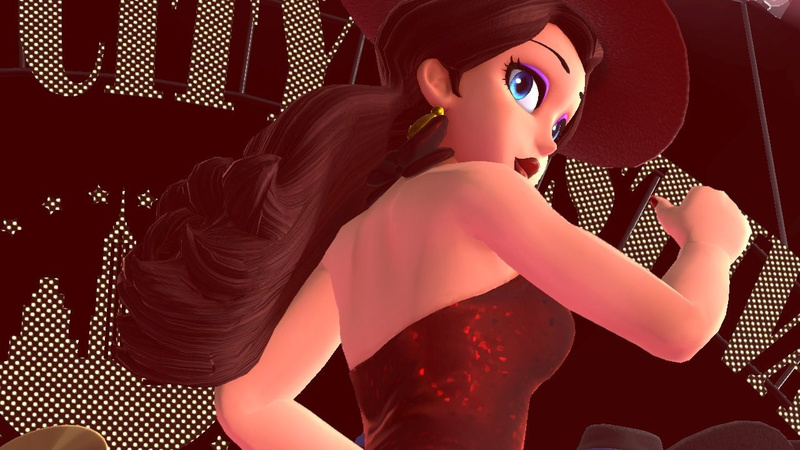 Nintendo: You can see Pauline in a musical performance in VR. @Heavyarms55 Nintendo isn't that into the idea of VR actually. They said before that they don't want to jump on the VR bandwagon until they can find a way to make it fun. Which they seemingly did with the Labo games and the game creator "Seriously the VR Labo game creator is nuts." and these 2 free updates seem to be testing the water for future game aplications. Imagine Mario Kart 8 deluxe in VR, or dare I dream Metroid Prime 4 in VR. @Heavyarms55 Oh be quiet troll. I love what Nintendo is doing here. Day one buy for me! @patbacknitro18 MK8DX VR and Metroid Prime 4 VR don't sound appealing either. What everyone calls VR just isn't appealing to me at all. And Nintendo's approach to VR makes it less appealing to me, not more. If like @pullmyfinger says is true, and that makes me a troll, I guess I am a troll. I don't like this, or PSVR or Oculus Rift and whatever else is in that same vein. It isn't VR to me to wear a screen on my face and play with motion controls, and it's not VR to me to hold the screen on my face and do the same. Virtual Reality to me would be tech that actually makes you feel like you are in the game. What we have in 2019 are some reasonable early first steps, but not nearly to the point that they interest me. Ask me again in 30-50 years when we have something like Sword Art Online level and then we can talk. Call me old school, but as VR stands today, I'd much rather a controller and a TV or the device in my hands like a classic portable. @Heavyarms55 1. Fair enough, just a personal preference issue and I can respect that. I just find these neat, similar to the 3DS's 3D function. But as a lot of people disliked that, I can see that this wouldn't appeal to a lot of people. However 2. Why would you ever use Sword Art Online as an example of VR? Like SAO is the worst possible VR scenario you could be in. @patbacknitro18 1. Yeah, we all have our personal preferences. 2. I meant the tech in SAO, not the story. Obviously that scenario would be a nightmare, die in game, die IRL. The idea I was getting at would be VR that provides true immersion into a virtual world and SAO is the most mainstream example I could think of. Or I guess there is the Matrix, but that is pretty old at this point. @Heavyarms55 The only one I can think of without any horrific conciquenses is Ready Player One. I was going to say Tron but that's technically not VR, and it's just as bad as SAO lol. @Heavyarms55 have you actually used VR? While I agree having a heavy screen strapped to your face and wires dangling off back to a console isn't ideal I still found PSVR to be an amazing experience. To me VR has to be wireless for it to fulfil its potential and it can be with a Switch or a decent spec phone. VR is incredibly immersive to me, we're still really early in the development of VR as a technology, controllers are being refined and better games are created which aren't tech demos. I never bought into 3DTV but I definitely see a future for VR in gaming. @Friendly we have Mario Kart VR at our local bowling alley, must go and try it soon. Is very expensive for one go though. @KraniX I can't tell you how many times people have tired that exact argument with me. I don't like VR as it is now, I don't find it appealing, and I have no interested in an inferior version of the same technology we have on PC and PS4, on Switch. It is a screen on your face and controllers in your hands, no thank you. I'll stick to my nice 60 inch TV for couch play, or play the Switch as a portable. The immersion I would want from VR would make me forget I am wearing a screen and holding a controller(s). I have several VR devices and downloaded a lot of great games for it. But I only completed 3 or 4 VR games. It's sometimes exhausting to play a VR game (body movement/nausea/ setting up). With a Switch or PS4 I can just relax and enjoy it with a drink or snack. @Heavyarms55 you didn't answer my question, have you actually tried VR? The reason I ask is I had non-gaming friends who were also sceptical until I plugged them into my PSVR, minds were blown. @hakjie11 I know what you mean, Eve nearly killed me. It's such an intense experience that I could only play for short bursts but so memorable. will everything be displayed in 3D with depth of field etc or is it just a case of being plonked into the world first person? @KraniX I have. Though I don't own a unit myself. As someone who as recently as this weekend sold his PSVR headset due to motion sickness on most games I can't say I'm particularly hyped for this one. Waiting for the inevitable power/framerate/720p screen comments. It’s just a bit of fun, get over yourselves. @Heavyarms55 there’s people in here that will jump all over you for not liking VR. Dunno why, we all have personal tastes. Just because you don't agree with someone's opinion, doesn't make them a troll. I suppose this comment makes me a troll now too. @pullmyfinger not everybody the general majority disagrees with is a troll. @pullmyfinger raging fanboy alert. Get a grip if you think he is a troll for sharing his valid opinion. 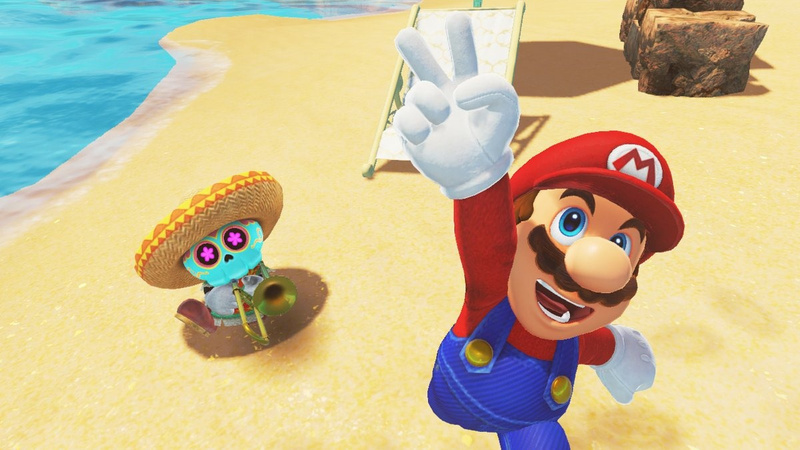 Nintendo is just trying the sell the novelty of seeing Mario in VR for the first time. Even PS4's power is barely enough for a workable VR, what hope do we have with a portable chipset from the Switch combined with a low resolution screen. So...Labo VR...it could work for me. It’s a short burst bit of fun play by the looks of it and would just fit within my gaming time. That suits me anfnim looking forward to checking it out. Plus it’s relatively cheap too. I will pick up the VR starter Kit because I am curious to see what Nintendo has been able to do with VR. And I will try the VR mode on Odyssey and BotW but the completely inadequate way Nintendo expects me to control those games in VR means I won't realistically play these games at all in VR beyond 5 minutes. What I do hope is the Youtube app offers VR videos just to expand the use for the Labo goggles. I kinda wish it had a head strap so that you could play with the JoyCons off. My arms are gonna get tired running round Hyrule playing like that. This will probably be the first Labo I pick up. Early impressions seem to be stating that they were ‘surprised’ about how good it actually works. I haven’t enjoyed PSVR when I’ve tried that in the past, but this strikes me like it will be more like those old TomyTronic LCD games. A good bit of fun. @Heavyarms55 In my opinion there's something wrong with your notion of "impressive" if you're sitting there presumably impressed with the Switch yet nothing in VR impresses you. Fair play to you if you were going to buy the kit before. But buying it for this update is just going to leave you disappointed. After spending two hours building the kit, you're going to complete the missions within a few minutes; Half an hour tops. Like I've said before, just keep your expectations realistic. @impurekind Well that is probably because you are impure. Joking aside, I don't see how you can see that. The Switch is a fantastic device with which I enjoy its features and readily use most of them happily. I love the versatile nature of the device. On the other hand VR is the literal opposite. It is much more limiting. You need to wear the headset, have special controls, you have wires to worry about, it requires more expensive hardware too. And yet it has those draw backs, and doesn't give me the illusion of virtual reality at all. It just gives me the feeling of playing a game with a headset on when moving around my head acts like another motion control. Maybe other people find that more immersive than I do, cool, I am glad they get more enjoyment out of the product than I do. When I say I don't like something, it isn't me saying other people can't enjoy it, if they like it, that's all on them. It frankly both amazes and somewhat annoys me how upset people get when I point out how I don't like VR and don't think it is a good idea or worth the cost and they all feel the need to tell me my opinions are wrong. I've never once said other people shouldn't use VR, I'm not going around demanding companies end production of it or people shouldn't play it. I don't like it, but if you or anyone else does, fine! Have fun! @Heavyarms55 Do we know or have they reported how many units of Labo sold? Many were sceptical of that but it seems like it's been doing okay. The price for this vr experience is what I think will sell most people on it. It is super cheap compared to its competitors. Never tried vr and will never be interested in it. But! If it somehow works with Zelda and we can get a goddamn strap for the unit, I might consider it. @TAndvig I don't personally know how well Labo did, but I was under the impression that it did at least okay. I am sure there is some info to be found via Google. @Heavyarms55 At least this update existing keeps the DLC dream alive. It's rare that you get a long silence followed by new content. Maybe Nintendo could even pull a Torna at E3 for Odyssey. A nice little gimmick update. Whatever you do people, don't give it legs! I repeat, don't give it legs! @Heavyarms55 Well, in a fast search I did come across this "Nintendo sold 1.39 million kits of its cardboard meets video game creation system, Labo, since its April launch, the company announced Tuesday as part of its earnings report. ... Nintendo doesn't break down the sales of the Nintendo Labo by kit, so it's not possible to tell which of the two sold best" It was posted on 31. July 2018. Don't know about the entire year but I don't think it hit 2 million. Still pretty damn good compared to the product and scepticism. It wouldn't surprise me if VR sells well too maybe even better. But for god sake, they need to give us some strap for it. Anyone else just going to try playing through the Odyssey update without the goggles? That's what i'll be doing. Mario picks up a whole damn piano. Impressive. Definitely waiting for some reviews of this stuff. Don't think it's something I will buy though. I'll likely grab the VR kit soon, but I'm saving for Mario Maker 2. I'm excited to try these later down the line! I would be excited but holding my Switch up to my face with bent arms looks really uncomfortable. And the screen is 720p so imagine it looking really blurry. Not to mention it's a huge missed opportunity considering the joycons have motion controls. 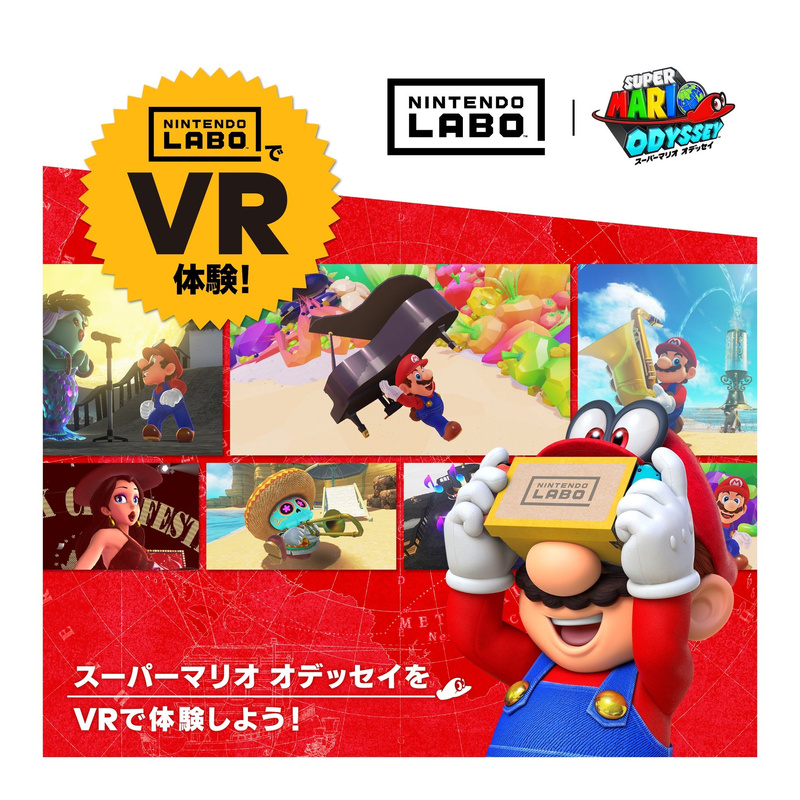 Maybe I'm too pessimistic but LABO VR smells a lot like Virtual Boy to me. I hope I'm proven wrong but if my hunch is correct this will only have support from 2-3 games. Tops. I can't do VR myself, but good for Mario and Zelda. @Heavyarms55 Yes we get it. You have some bias against VR because you got sick or something and are holding that against it. Must be fun to have really outdated opinions to the point where people are literally calling you out as a troll. Gotta say, it's refreshing to see the people turning against you in the comment section now that Nintendo is doing VR with labo. It brings a joyful tear to my eye. How does putting the console up against your face not make you think of ruining your eyes???? @ChromaticDracula Well first of all, there has never been any studies to suggest sitting close to the TV harms your eyes. It's always been a debunked myth. As for VR, your focal plane is set to 2 meters, so it's no different than sitting 2 meters away from a TV. Personally I think Nintendo should have stuck with AR instead of VR, I find creed to be a bit of a gimmick like the Xbox Kinect was. @WesEds Creed, you mean the game? I'm not sure how one game being a gimmick in your mind means much regarding VR itself. Nintendo can still do AR. Obviously any VR device will do AR and AR devices will do VR and they will just be the same thing over time anyway. Just so I'm not getting this wrong, you can just download these updates and run them with no purchase of the VR kit, right? I mean, it's just a different viewpoint on screen, the update is in the game software and there's no software bundled with Labo required to get access to all this, right? not interested in vr, but I am glad that is an option that others can use. @DartBuzzer I meant VR, for some reason it auto corrected to creed. I just think that it’s just a phase that everyone is jumping on Because it’s the new way to play, I could be wrong and it may be a big part of gaming but I’m not sure. @WesEds VR can never be a phase by it's nature. Simulated worlds is something that any technologically advanced civilization would strive towards. It doesn't matter how different the path of progression is, you would always end up with VR at the end regardless. It's something that gamers have always wanted as well. "Gotta say, it's refreshing to see the people turning against you in the comment section now that Nintendo is doing VR with labo. It brings a joyful tear to my eye." Because you're petty and self-righteous. "Simulated worlds is something that any technologically advanced civilization would strive towards." Heads up, Dart has made contact with several alien civilisations. Also a tad ironic that one of the most complex simulation games around wouldn't work on a (not)VR headset. I don't quite get, why Odyssey is presented through these handful of mini-games, when BotW apparently will be made fully available in VR. I mean, I appreciate new content as much as the next guy, but obviously all the engineering to have the game as such running must be there, no? Also, I really, really hope they'll consider Metroid Prime Trilogy for a VR release. From what I've seen it is an absolute blast in Dolphin VR, and outside of Nintendo's philosophy of never doing anything obvious (even obviously good), there is really no proper reason, that they shouldn't make this happen imho. @shaneoh I meant simulated worlds that we can step inside, and what game are you talking about, Dwarf Fortress? And it's blatantly obvious the benefits VR would provide for any advanced civilization. So long as the starting conditions are the same, there are certain strides that will be made by any advanced civilization. Harnessing electricity is one of them. Inventing a method of transport is another. Inventing computers is another. Inventing VR is another. This cycle will never be broken because it runs off the inevitably of progression. @DartBuzzer Ah so your opinion is "right" and mine is "wrong". But I am the troll. Right. @TAndvig I imagine the game is popular among parents who want to push their children away from traditional video games. There is no real way to know, but I would be willing to bet that more of the sales were a result of parents/family buying it for kids than of kids actually asking their parents for it and only a small minority of older users buying the product for their own personal use. Probably already been discussed here, but that thing Mario is holding proves that you WILL be able to play the game (and likely Zelda too) with directional head tracking. Even if it does seem pretty tiring to the arms. Might be a good idea though, to have it be even more tiring to the arms than to the eyes. Forces a nice little break every so often. 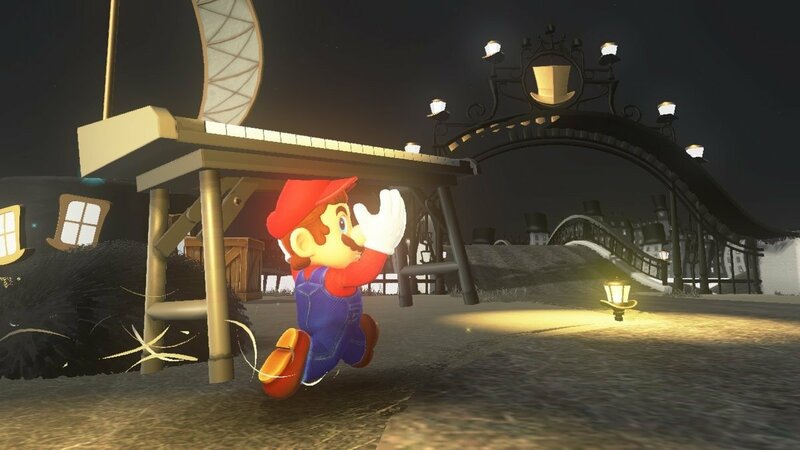 Mario might be limited to minigames in VR because you need the joycons attached to the system for tracking of your look direction. This means doing the flicks for Cappy are out of the question, and Nintendo probably wouldn't want anyone to think that any "correct" way of playing the full game would exclude this option entirely. @Heavyarms55 I actually don't know about that, I would have to see some statistics before I am convinced. @TAndvig I doubt any such statistics exist. I don't know how you would go about gathering the information. It is just a supposition that I have. @HumanDog Coming to think of the virtual boy, I feel like one way to make Nintendo Online a tad more relevant to the "core" and just more exciting in general, would be to offer a couple of N64/GC(/Wii) games running in VR. Apparently F-Zero GX feels absolute killer in VR and since Nintendo won't be making any new ones, that should also help somewhat pacify F-Zero fans in general. I could also imagine Wave Race being really quite something emulated in VR. A couple of weeks ago, I would have said, that this is never going to happen with Nintendo, but here and now, I am not that sure anymore! @shaneoh With that dude it’s like talking to a flat earther or a scientologist. But jokes aside, apart from the Wario Land game, is there really anything worthwhile to emulate in the first place? Speaking of Wario and VR though, if Labo VR doesn't get a Wario Ware title, it would be a seriously missed opportunity for silliness! HA, and with about as much evidence based in fact. . All zealotry and volume. @Heavyarms55 I'm not sure you've been playing VR properly, or maybe you've not yet experienced any truly great VR games, if you think/feel it's just like sticking your head into a headset and adding another motion control and little else (like being in VR and freely looking and moving around a 1:1 scale world and having full hand control and stuff doesn't change the experience much at all). Maybe you've only tried very limited VR headsets with 3 degrees of freedom of tracking and control, like the Google Daydream or Oculus Go for example, which, to a degree, are kinda what you described, although even then it's doing them a disservice. Have you heard of the idea of "presence" in relation to VR? If not then look it up. Achieving presence is a fundamental paradigm shift in the way we experience playing a video game that simply can't be duplicated in any other gaming medium, and even in gen 1 you can achieve moments of true presence in VR that are true "wow" moments, such as when you stand on a really high ledge and genuinely feel vertigo (your legs actually start shaking and buckling and you get properly nervous). It is literally impossible to feel actual vertigo in a traditional video game running on a normal flat screen. That right there is just one way in which VR literally changes the game from anything that has come before in this industry. And when you apply presence to horror games--total game changer. And with modern headsets like the Oculus Quest there are no wires and it's full 6 degrees freedom of movement and tracking on both the headset and the dual Touch controllers. Also, an Oculus Quest really isn't that much more expensive than a Switch (and the Quest is an entirely standalone self-contained VR headset with no PC and stuff required) and is even closer if you consider the cost of a Switch plus Labo VR. An Oculus Go is actually much cheaper than a Switch, but it is only 3 degrees of freedom and only has one controller that also three degrees of freedom, and is far more graphically restrained too, so it's not the best VR has to offer. I believe you when you say that you're not particularly impressed with the immersion and stuff; I do not for a single second believe that will still be true in a generation or so as VR gets even better and moves even further away from anything you can experience on the likes of a mostly traditional console like the Switch. Let's have this chat again in say 5 years time (when it's likely Nintendo will have also fully embraced VR too, which I think is probably a relevant factor here in this example). . . .
PS. Q. Have you actually tried a modern VR headset, and especially a fully room-scale VR headset with 6 degrees of tracking and freedom of movement on both the headset and controllers like the HTC Vive, Oculus Rift or PSVR? Another likely scenario is that Nintendo wasn't able during testing to keep the game 60fps, what with having to draw all animated objects and particles twice. This would mean people started having a less than stellar gameplay experience with a mainline Mario title, and they just wouldn't want that to happen. @Einherjar I had a Virtual Boy and most games were quite good. Wario Land, Red Alarm, Space Squash, Teleroboxer, Galactic Pinball, Mario Clash, Jack Bros, Panic Bomber. The system flopped, but it was still Nintendo quality with a weird retro + futuristic/immersive vibe at the same time. And a lot of catchy tunes. @Pod That would make more sense the other way round though. Even now BotW is not exactly 'locked' to even 30 fps under some circumstances, not to mention 60 fps or (low-res) stereoscopic 60 fps. I'm guess what I'm saying is that if they have concerns in this regard, how did BotW VR ever get made? Kinda puzzling to me. I thought about what you're saying, but I think Mario just exists on an entirely different level from Zelda, in terms of how important the technical consistency is to the experience, and how important the flawless execution is to Mario's image as the face of video games. They're just not in the same league. @Pod Yeah, that might very well be true, can't really argue with that from a general perspective, but I dunno ... it must have still taken them quite a bit of effort to make Mario VR happen at all and if it were just Mario or if BotW was comparably limited, I would kinda 'get it', I guess, but seeing as this truly appears to be at least a testing ground for a more significant VR push, so to speak ... can't quite make heads or tails of it to be honest. @Heavyarms55 Statistics collected from surveys to cover age demographic for a unit's player base is not uncommon at all. Doing the same to see the purpose of purchase isn't either. Of course I doubt Nintendo would post stats like that, since I haven't seen them done it before. Similarly, Mario Kart exists in a sphere where >60fps just isn't an option. Besides, playing MK8 in the way you'd have to hold this might not be pleasant at all, particularly considering how you don't have free-look anyway, unless they were to whole-sale import the arcade game. So I think Zelda, as a showcase of a predominantly calm, personal experience and wonderful art, is the right choice for investment. It has sold a lot, and people love it. So has Mario, so they need to do SOMETHING with that, hence the minigames. That's at least how I'm figuring the decision process might have gone. @Pod Yeah, <60 fps for MK would probably feel like a significant downgrade. Still, Wipeout was and still remains one of the major showcases for PSVR (not that the two compare directly, but you get what I mean). I see your point about free-look though. I'll be getting mine through the festival I work for, hopefully in the not too distant future, so I'm pretty curious as well.